Beautiful. Distinctive. Unique. The three premium roofing shingles in this line mimic the look of natural slate tiles or cedar shakes without their associated maintenance worries and cost. IKO Armourshake, Crowne Slate and Royal Estate all deliver the ultimate in weather protection for estate homes and other high-caliber properties. There's BEAUTY you can see in every single IKO shingle. Upscale finishes inside your home can completely transform the look, potentially add resale value and make a personal statement. So can choosing the right color blend and profile to crown the castle your family calls home. IKO Crowne Slate premium shingles mimic natural slate tiles to create an elegant, stunning roofscape that elevates a home’s curb appeal. 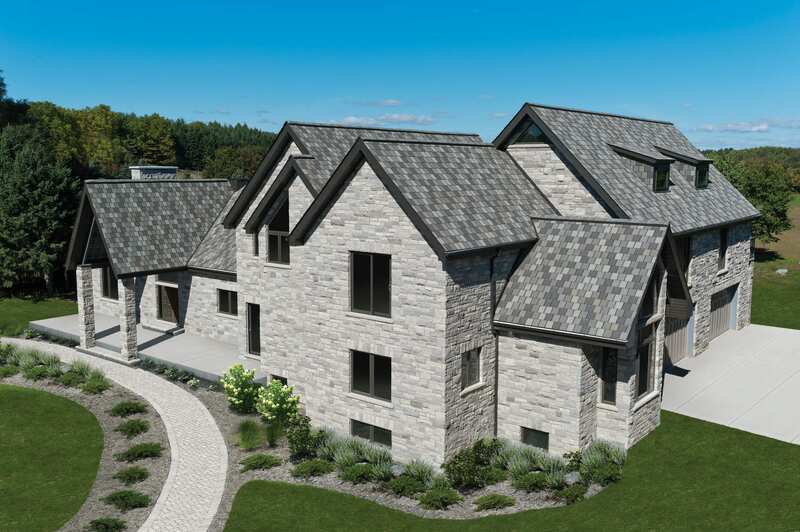 Each shingle is precision-cut to simulate locally quarried stone, for a unique touch of luxury. Durable IKO Crowne Slate roofing shingles withstand heavy snow, wind, water penetration, and temperature extremes. IKO Armourshake premium laminated architectural shingles create the rustic look of hand-cut wood shakes yet offer the added benefit of a Class A Fire Resistance rating. Advanced color technology provides homeowners with a choice of stunning colors and, combined with a deep-cut profile, the resulting good-as-new appearance will endure for years, without the need for yearly maintenance. IKO Royal Estate premium roofing shingles are among the easiest to install yet their sought-after look of a natural slate tile roof imparts the ultimate look of luxury. 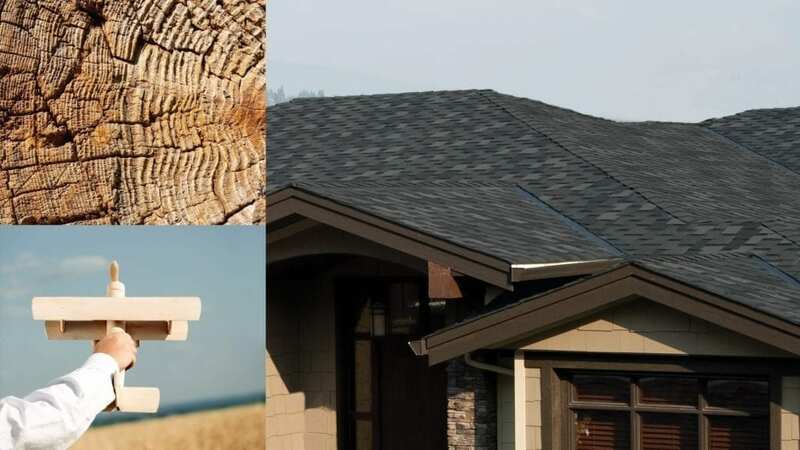 Available in a choice of color blends ranging from subtle to spectacularly bold, these roofing shingles benefit from superior granule technology to fend off damaging ultraviolet rays and retard the discoloration that blue-green algae growth can cause. See how IKO Premium shingles look on actual homes, no matter what their architectural style. If you crave the look of natural wood shakes, without their flammability and maintenance concerns, or the beautiful historic look of slate then consider making a selection from IKO’s Premium line of shingles: Armourshake, Crowne Slate or Royal Estate.